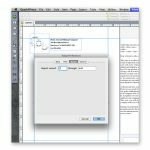 Xdata for QuarkXPress - Buy Now! Xdata has been a life saver for me and my employer, Con-Way Central Express. 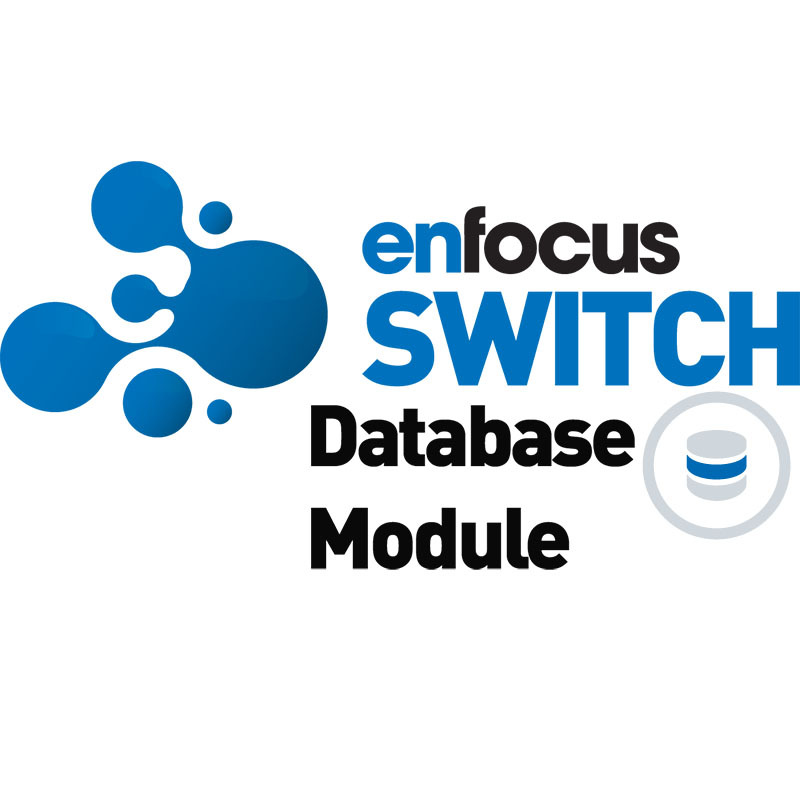 This solution ultimately saved us at least $100,000 in rollout costs compared to using a traditional badge system and has saved countless hours of work due to automation. I can?t stress enough that Xdata has paid for itself time and again in the last two and a half years. I really have used Xdata for years and years. Apart from countless directories and books here and there, for the last 6 years or more, The Haymarket Publishing small, annual, pocket directories for Autosport, CAT and Classic & Sportscar have all been done by me using Xdata. We were one of your first users with Xdata. ? We must have generated almost a million dollars of work with it. It?s nice to have some jobs where we can use it again. Thanks! 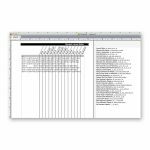 If you have data in a spreadsheet, data in a database (or just a list of a whole bunch of data that you need to format), how can you make it look good quickly? 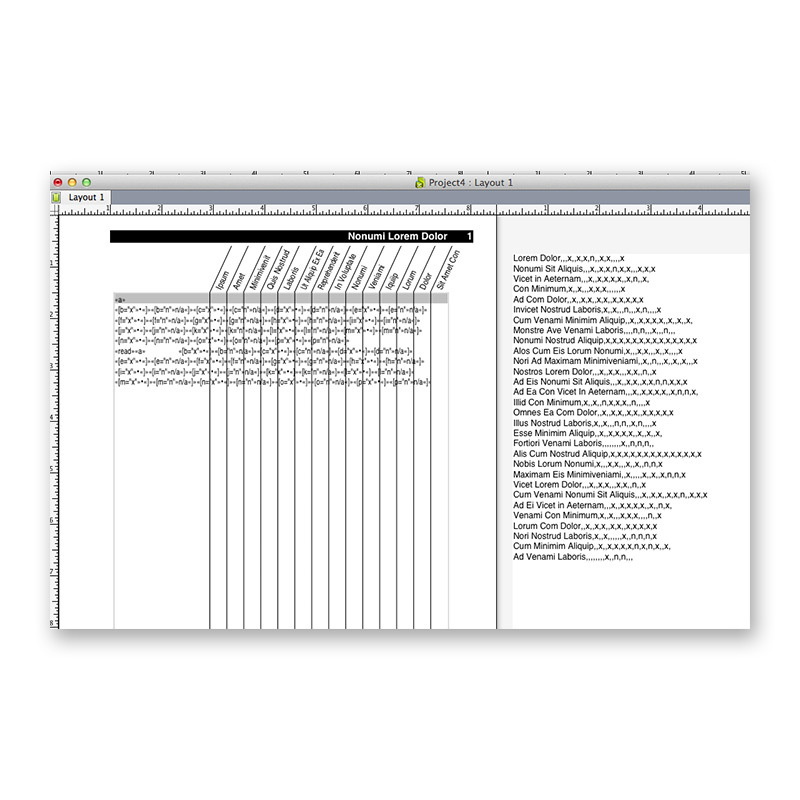 It might be a directory, or a catalog, but there are all kinds of reasons why you might want to be publishing your data. 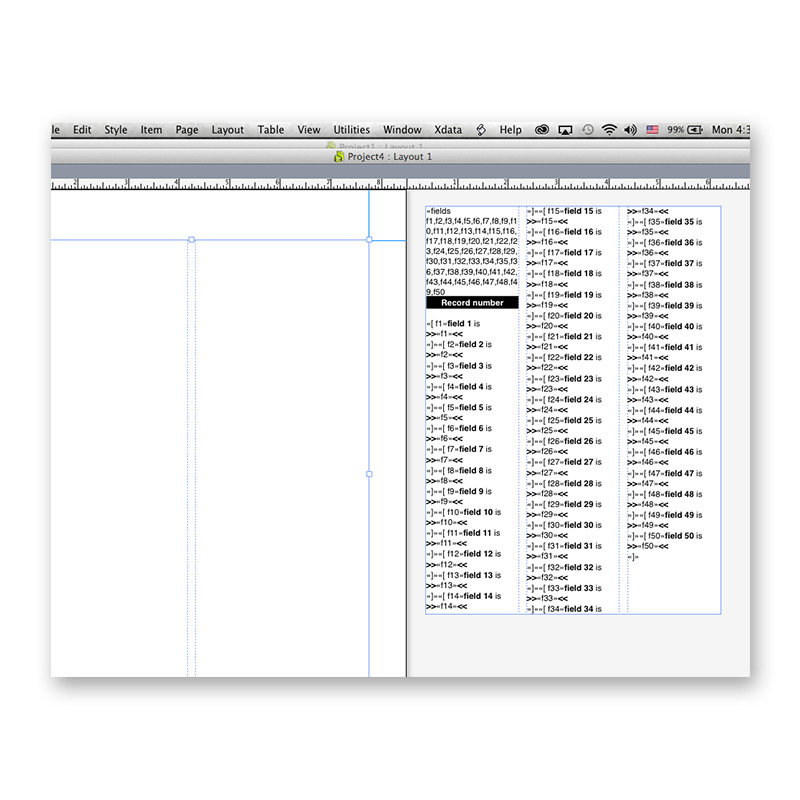 Xdata for QuarkXPress can set up a prototype, then you can point it at a data source (a plain text file that’s been exported), and it can make one long, flowing story, generating additional pages as necessary, containing all the records formatted according to your prototype. 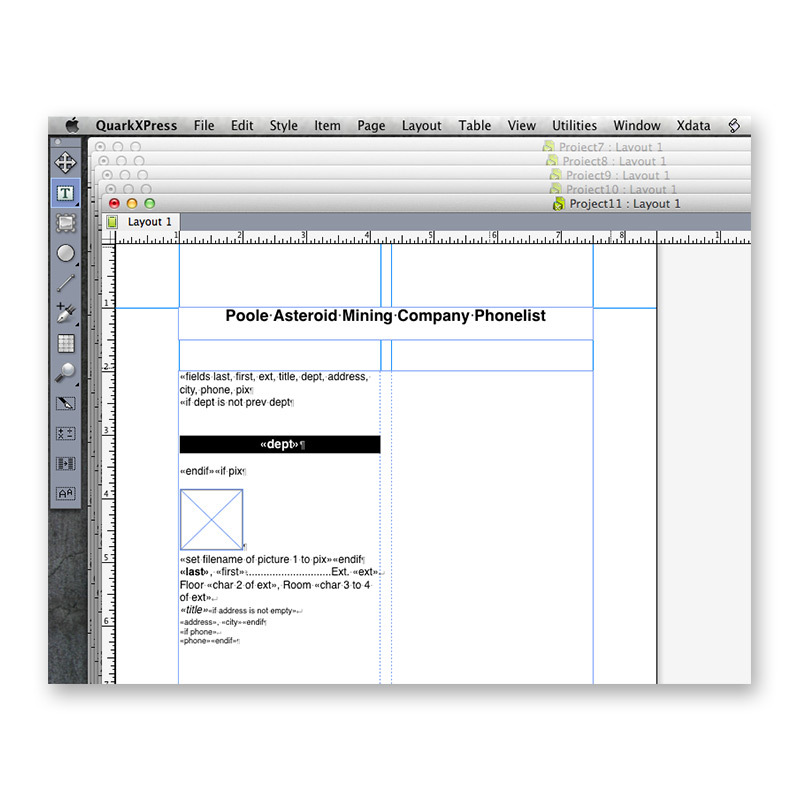 It can also optionally add running headers and footers. 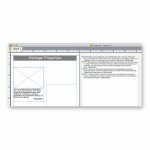 While it’s true that Xdata can perform mail merges, very much like those within Microsoft Word, the term mail merge doesn’t even begin to tell the story of Xdata. 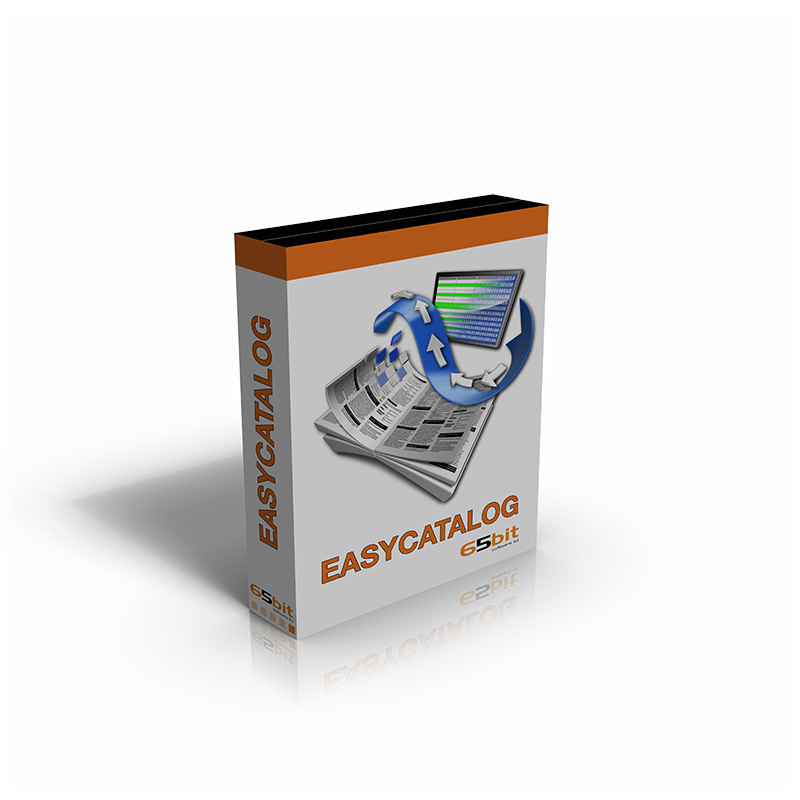 It provides full automation of price lists, catalogs, directories, and even one-to-one marketing pieces using your customer data. 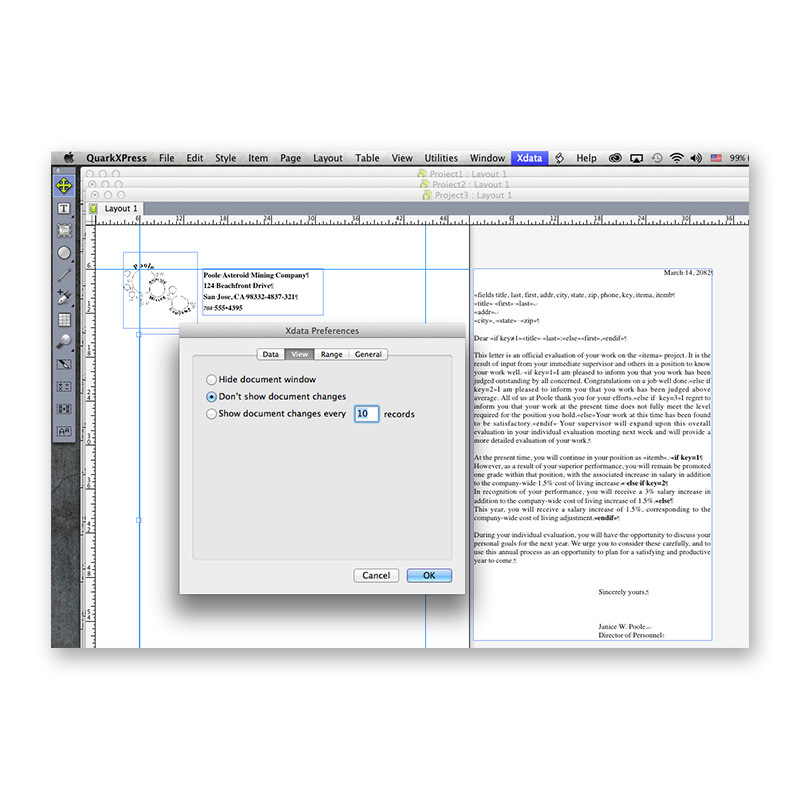 Xdata is a sophisticated data publishing product for use with QuarkXPress. 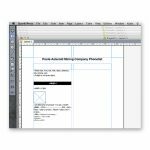 It automates the formatting of documents containing repeating data units such as catalogs, directories, mailing labels, price lists, and schedules, supporting both text and graphics. Formerly, each separate element in such documents had to be formatted by hand. 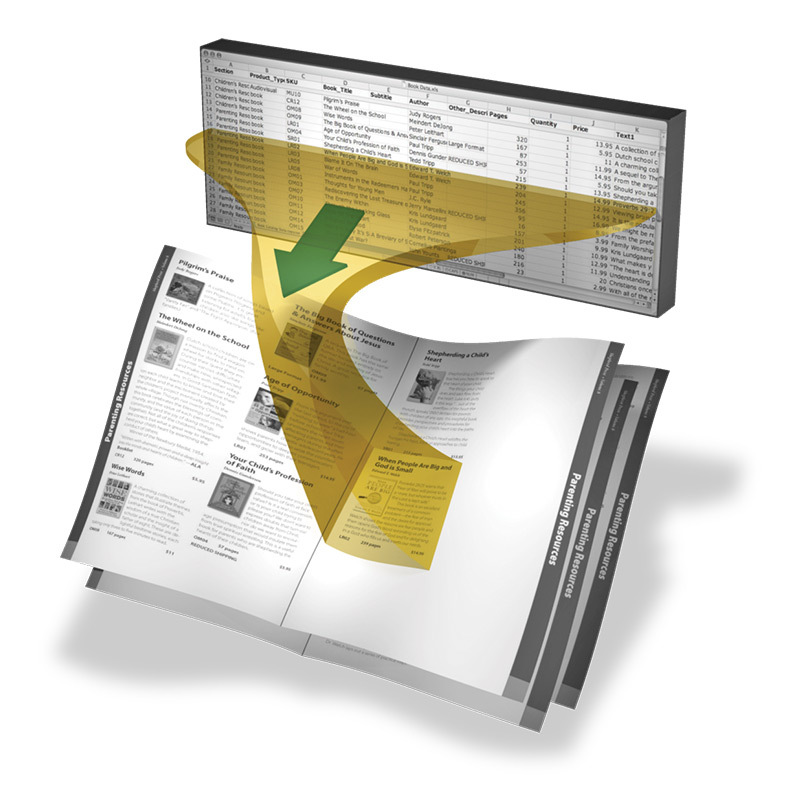 Xdata automatically applies the format you specify to each element of information as it is imported from the original data source. 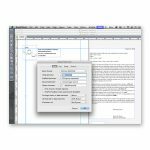 Xdata accepts data in the major Macintosh and Windows data exchange file formats, enabling you to use it with textual data created in all major database and spreadsheet packages, or even with data created by hand in a word processor. 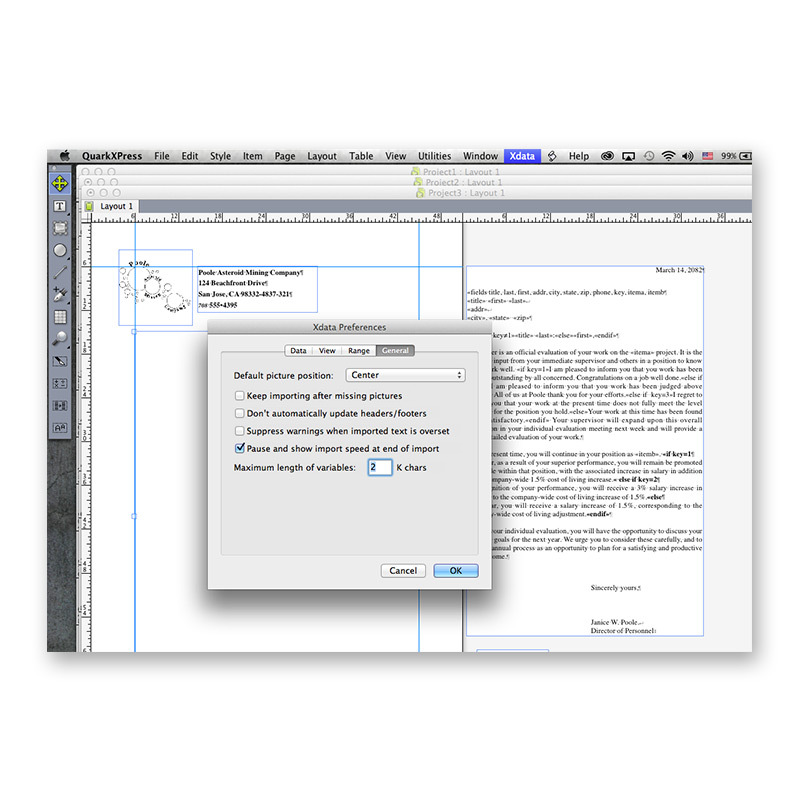 Xdata operates as an XTension to QuarkXPress, automatically becoming part of the XPress publishing system once it is installed. 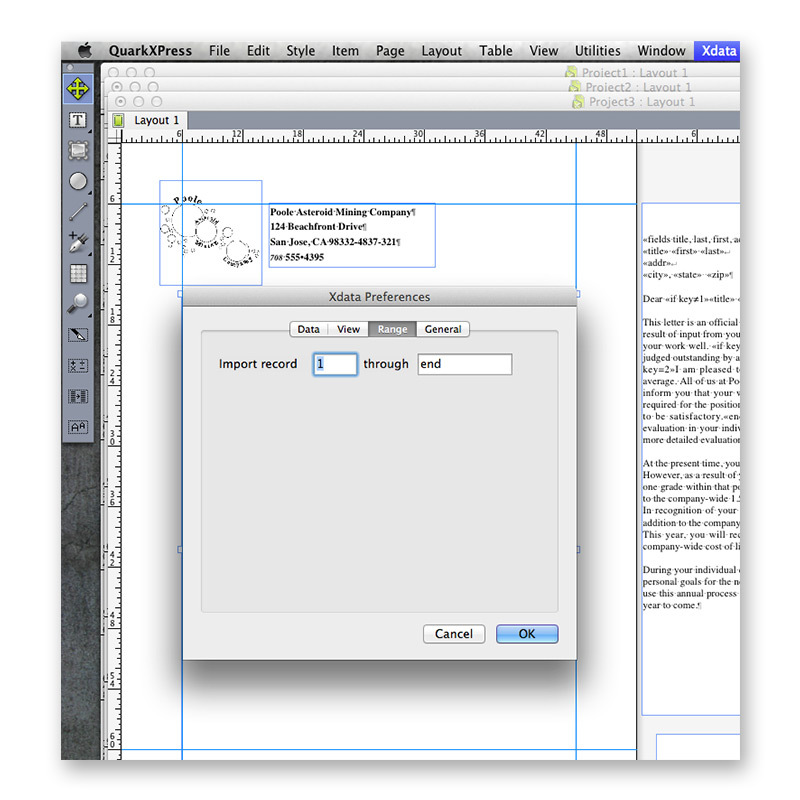 Xdata runs from inside of QuarkXPress, under its own menu, and imports and formats text into normal XPress publications. 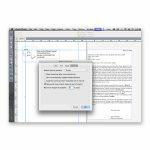 It is not a stand-alone program which must be run separately from QuarkXPress, and no special additional files are required. 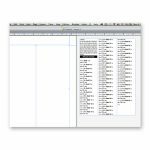 A raw data file, containing the records to be imported and formatted using Xdata and QuarkXPress, exported from a database or spreadsheet application, or prepared by hand using a word processing program. 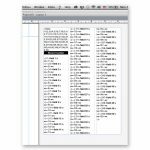 Generally, these records are stored in an external file, but they may also be imported from the clipboard or from a text story on the QuarkXPress pasteboard. 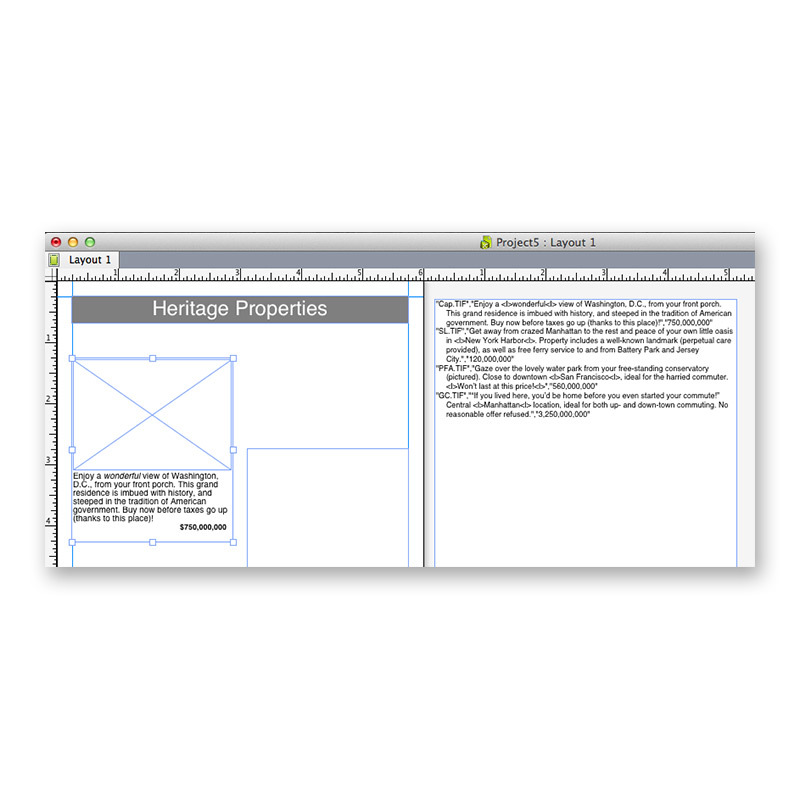 A QuarkXPress document, either designed from scratch or created by opening a template. 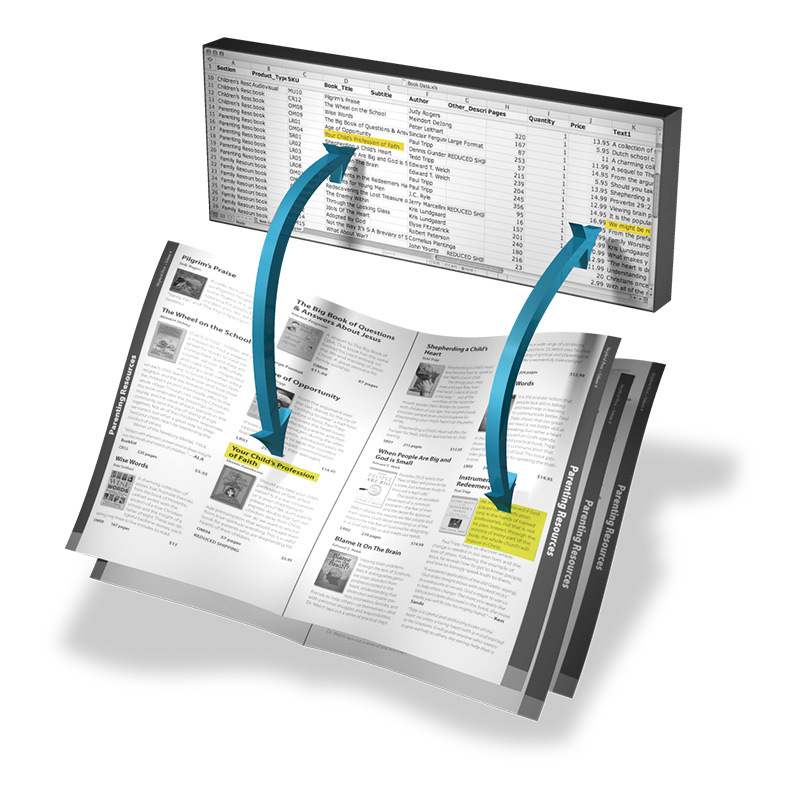 An Xdata prototype, which tells Xdata how the imported records are to be placed and formatted. 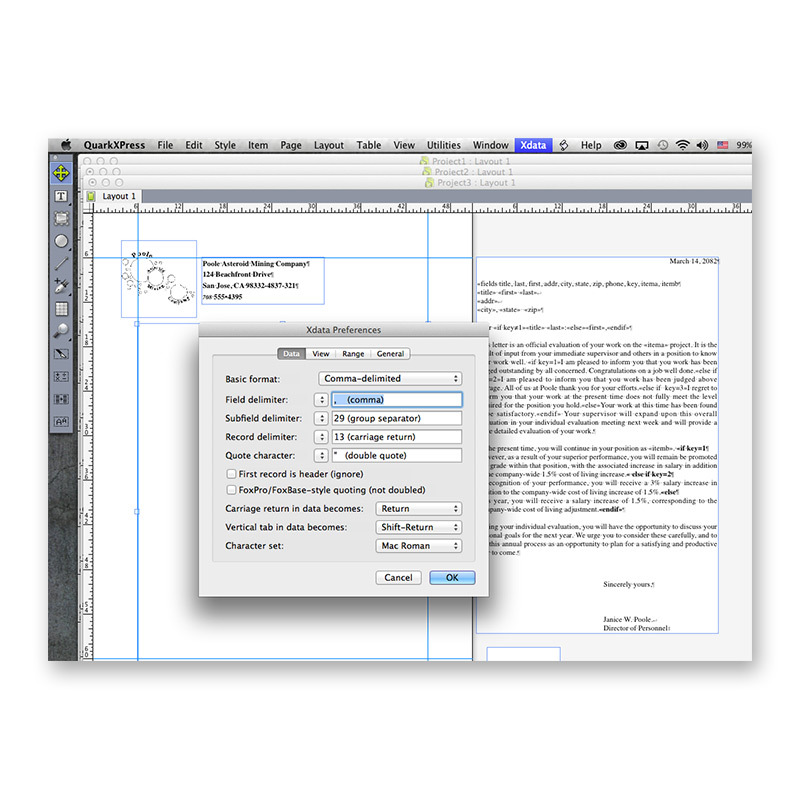 The prototype is not a separate file, but rather exists as text within the QuarkXPress publication. 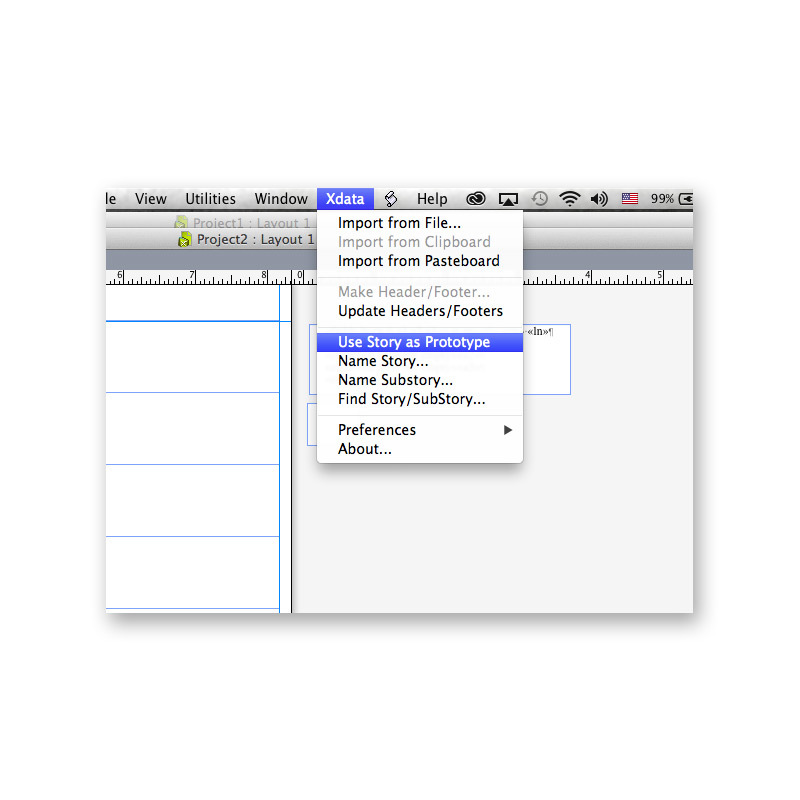 Xdata does far more than just import text. The real power lays in the support of Boolean expressions. The most well-known examples of Boolean expressions are the and, or, and not operators. 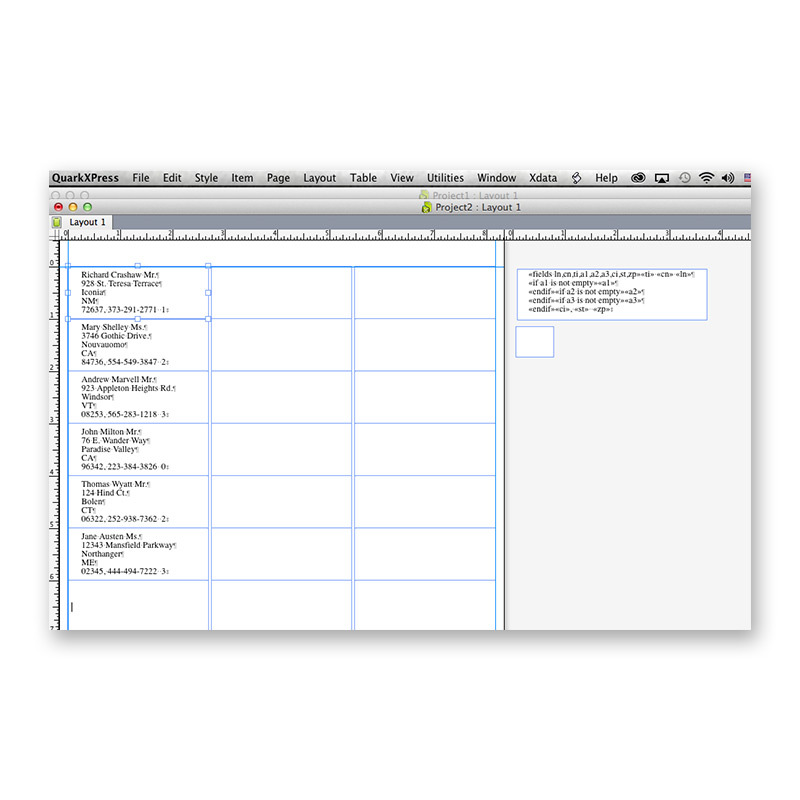 Use this to check the content of a field and then perform an action. For example, you could check the field that contains gender information and if the content indicates male for a single record, you could set the salutation of your letter to Mr. and if the gender indicates female, set the salutation to Ms. 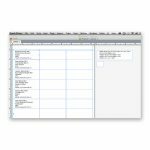 Sort and then export from your database application, spreadsheet applications (e.g., Excel), or download from the web or your corporate information systems, and then import the resulting data file with Xdata, fully formatted. Drive Xdata with scripts for automation of repetitive single jobs, as well as large, complex jobs involving multiple imports in multiple documents. 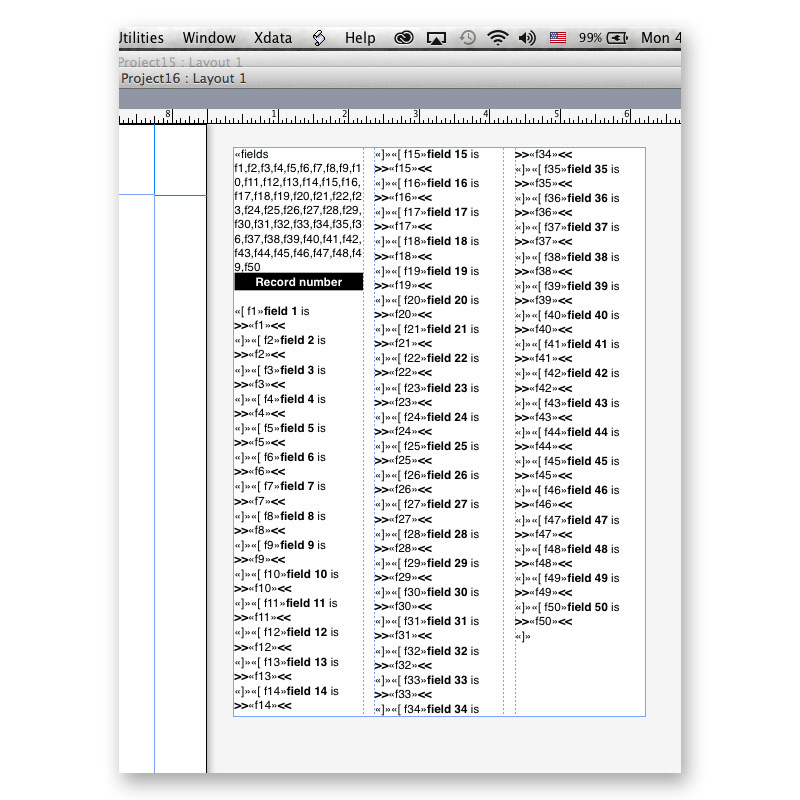 Build your templates with Xcatalog links embedded. 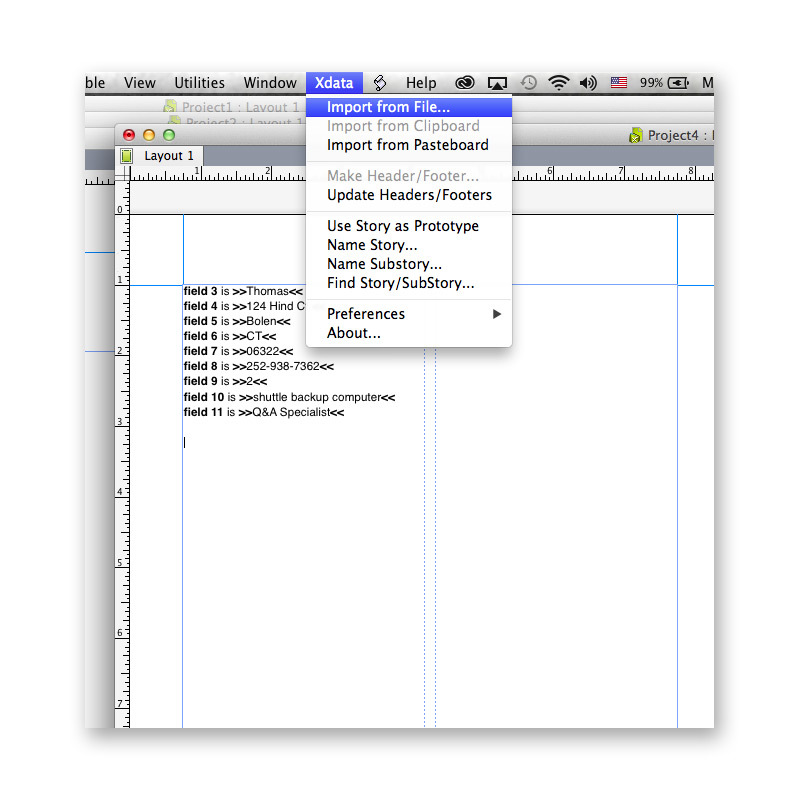 Later, using Xcatalog, you can update fields in place from updated data, or extract any document updates to your data. 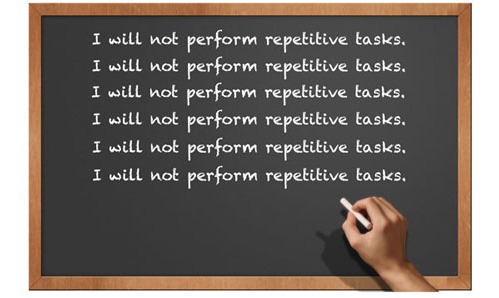 Do not perform repetitive tasks. Using Xdata, the reduction of time and frustration make them well worth the investment from the very first job. 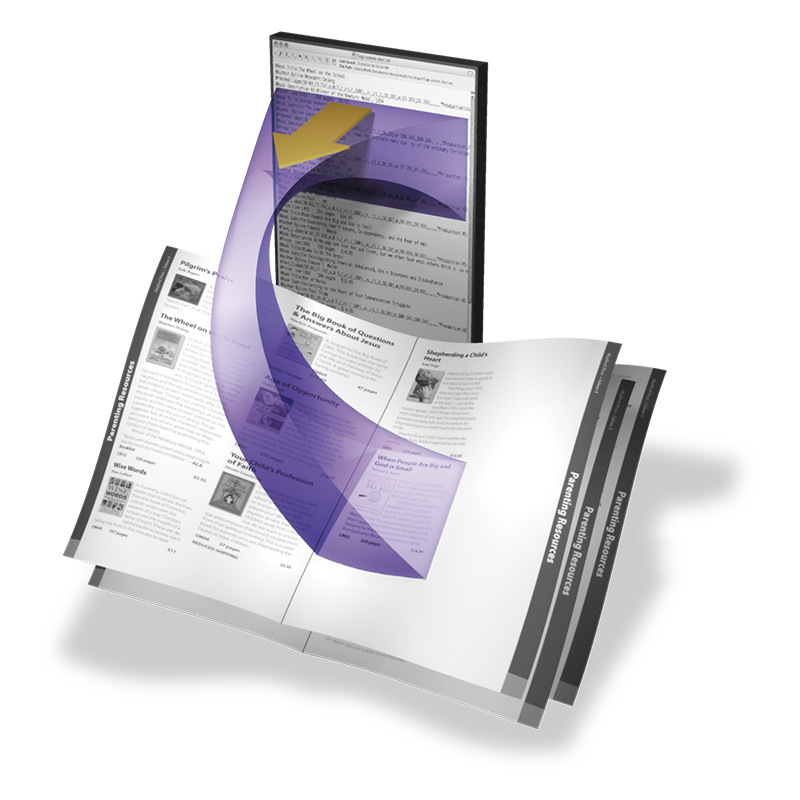 Categories: Em Software, Content & Graphic Design, Quark XTensions, Print, Prepress & Publishing, Output Tools, Workflow Tools, Workflow, Production & Automation, Automated Output. 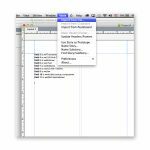 Tags: Automate, Automation, Book, Booklet, Catalog, Data, Database, Directory, Excel, Import, Labels, Mail, Mailing, Merge, Productivity, Publish, Publishing, Quark, QuarkXPress, Spreadsheet, Template, Templates, Workflow, Xcatalog.